At 1085m (3,560ft), Mount Snowdon - Yr Wyddfa is Welsh name, which in English means means 'the tumulus', which some authorities suggest may refer to the cairn thrown over the legendary giant Rhitta Gawr after his defeat by King Arthur - is the highest peak in the Snowdonia range of mountains, and indeed it is also the highest mountain in Wales. The nature reserve covers a massive 1,671 hectares, and it is home to arctic plants that have survived there since the end of the last glaciation approximately 12,000 years ago. This reserve is managed in a partnership between Natural Resources Wales (NRW), the National Trust and local landowners. There are a number of access points to the reserve, but if you want to visit the summit of Snowdon and can't face the walk to the top the best place to start is from Llanberis, where you can catch the Snowdon Mountain Railway Train to within 20 metres of the summit. 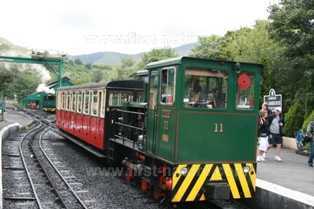 It is possible to buy one-way tickets, so that the train takes the strain on the way up and you can enjoy the amazing panoramic views on the walk down a path that runs very close to the railway line. The railway station is in the centre of Llanberis town, and there is plenty of car parking adjacent to the station. This pay-and-display car park is managed by the National Trust. Both the Miners' Track and the Pyg Track start from this point. 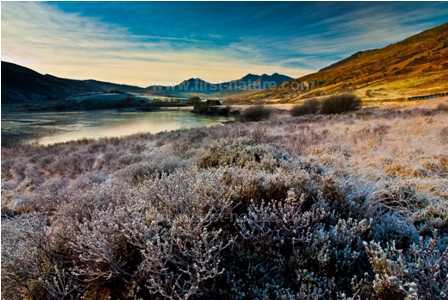 The car park can be found off the A4068 Llanberis to Capel Curig road 9.5km (6 miles) from Llanberis. Access to this route is off the A498 road between Beddgelert and the A4068 road to Capel Curig. The Watkin Path starts opposite the car park. This car park is situated at the Hostel itself, which is on the A4085 Caernarfon to Beddgelert road. The Snowdon Ranger Path that leaves here travels along the western boundary of the NNR. This pay and display car park is situated on the A4085 Beddgelert to Caernarfon road about 11km (7.5 miles) north of Beddgelert. With the exception of the first 2.5km (1.5 miles) of the Miners' Track (access from the Pen y Pass car park), which is wide and even, the rest of the routes up Snowdon are rough, rocky mountain paths with stiles and gates along the way. Even in the summer the weather is unpredictable, and it is always several degrees colder on the summit of Snowdon than it was where you started from. Be sure to wear good walking shoes and carry suitable clothing in case of a sudden change in the weather. 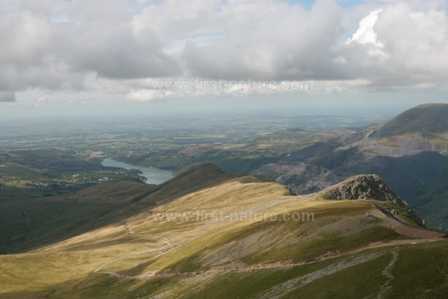 Carry plenty of bottled water with you - it's a long walk to the top of Snowdon! The first part of the Miners Track from Pen y Pass leads to Llyn Llydaw and this would make a very pleasant and not too demanding walk from which to get a taste of the scenery and atmosphere of this magnificent part of Wales. There are pubs, shops, cafés and public toilets in the villages surrounding Snowdon, and some of the car parks have public toilets, too. At the top of Snowdon there is a modern Visitor Centre with a café, shop and public toilets. The diversity of wildlife habitats in the Snowdon/Yr Wyddfa NNR make it special; they support rare plants that are key reasons for its designation as a Special Area of Conservation. 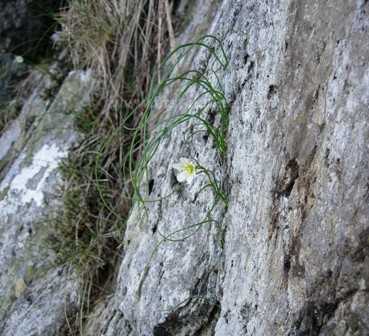 Top of the list for us in Wales is the Snowdon Lily (Lloydia serotina), and the calcareous rocky slopes of Snowdon are the only place in the UK where this plant occurs. It was discovered here in the late 17th Century and has attracted a multitude of visitors since then. The Snowdon Lily populations that occur in Snowdonia are literally hundreds of miles away from the other places where this beautiful plant occurs - in the Alps, for instance - and unlike most of the other special plants in the area it does not appear in Scotland. In other countries Lloydia serotina is found in different habitats; rather than growing out of rocks, as it does in Wales, this lily frequently occurs in rather more gentle alpine meadows. Other arctic alpine plants in Snowdon NNR include Alpine Saxifrage (Saxifraga nivalis), Tufted Saxifrage (Saxifraga cespitosa), Alpine Saw-wort (Saussurea alpina) and Alpine Woodsia (Woodsia alpina). Among the other flowers found in this area, and with which you may be more familiar, are Globe Flower (Troilus europaeus), Welsh Poppy (Meconopsis cambrica) and Wild Angelica (Angelica sylvestris). Two other plants occur in this NNR and make the reserve special. One is Slender Green Feather-moss (Drepanocladus vernicosus), which is very rare and protected by both British and European laws, and the other is Floating Water-plantain (Luronium natans). The latter occurs in standing water and has very specific requirements; it ia also found in the Montgomery Canal and in the Wildlife Trust of South and West Wales Nature Reserve at Dowrog Common. In other parts of the reserve there are extensive screes of igneous rock dominated by Bryophytes and Lichens, with associated species such as Fir Clubmoss (Huperzia selago), Marsupella adusta and Cornicularia narmoerica. 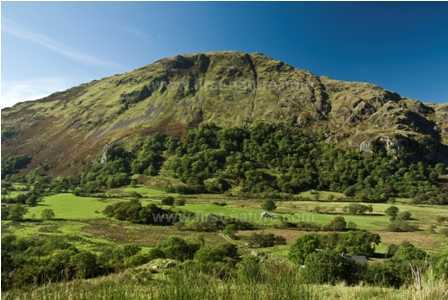 Conserving the valuable plant habitats of Snowdonia is vital for the survival of many of the insects that depend upon them. Many kinds of butterflies and moths live in the area - in particular Marsh Fritillaries (Eurodryas aurinia) and the Netted Carpet-moth (Eustroma reticulata), the latter now being restricted just to few areas in the UK. Snowdonia also has its own beetle, the Snowdon Beetle or Rainbow Leaf Beetle (Chrysolina cerealis). Mammal in Snowdonia are represented by Brown Hares (Lepus europeaeus), Fallow Deer (Dama dama), Badgers (Meles meles), Foxes (Vulpes vulpes) and the rare and elusive Pine Marten (Martes martes). Polecats (Mustela putorius) are still common in Snowdonia, and if you see Feral Goats (Capra hircus) you are not dreaming - several herds are well estalished in the area. If birds are your main interest, you will not be disappointed. The wild mountaintops of Snowdonia are frequented by the increasingly rare Choughs (Pyrrhocorax pyrrhocorax), Merlins (Falco columbarius), Buzzards (Buteo buteo), and Peregrine Falcons (Falco peregrinus). Below the mountain ridges the magical sound of Skylarks (Alauda arvensis) can be heard, and in the heather moorland both Red Grouse (Lagopus lagopus) and Black Grouse (Tetrao tetrix) take refuge.